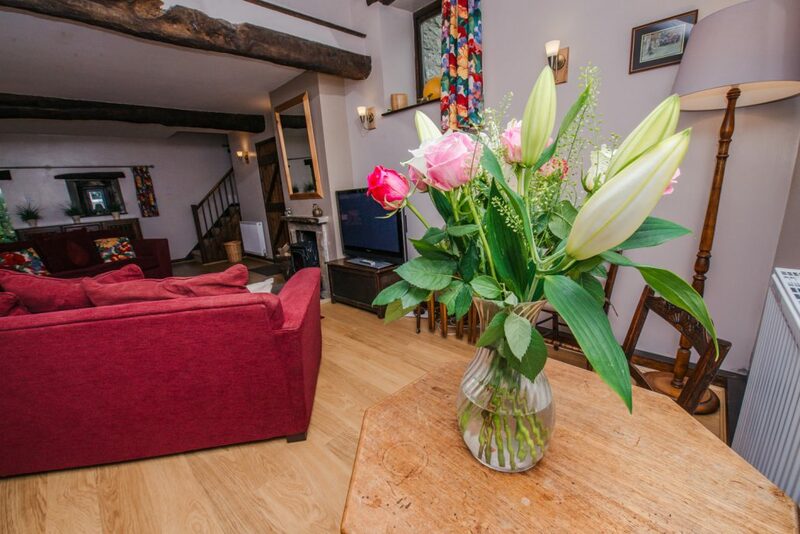 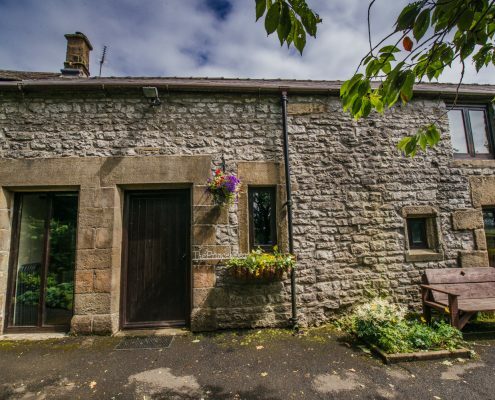 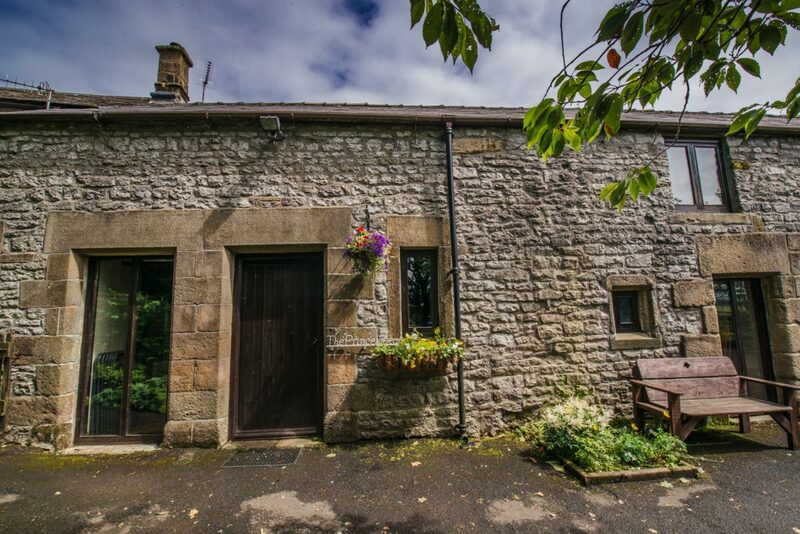 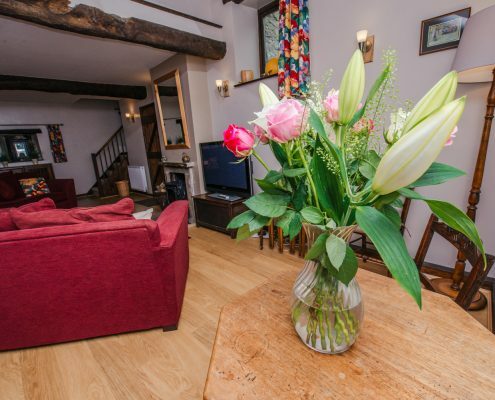 Prince’s Seat is set in a fully refurbished stone barn conversion and offers superb self-contained accommodation equipped to a high standard. 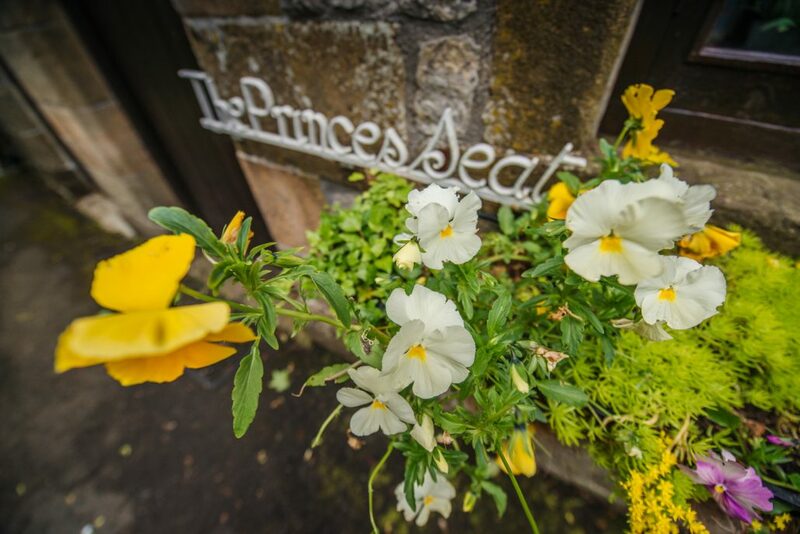 Named after Bonnie Prince Charlie (a reputed early guest at Vicarage Farm! 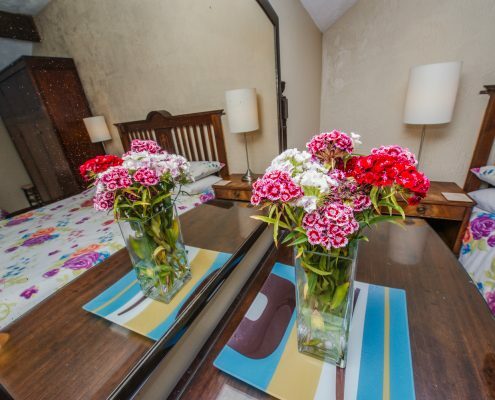 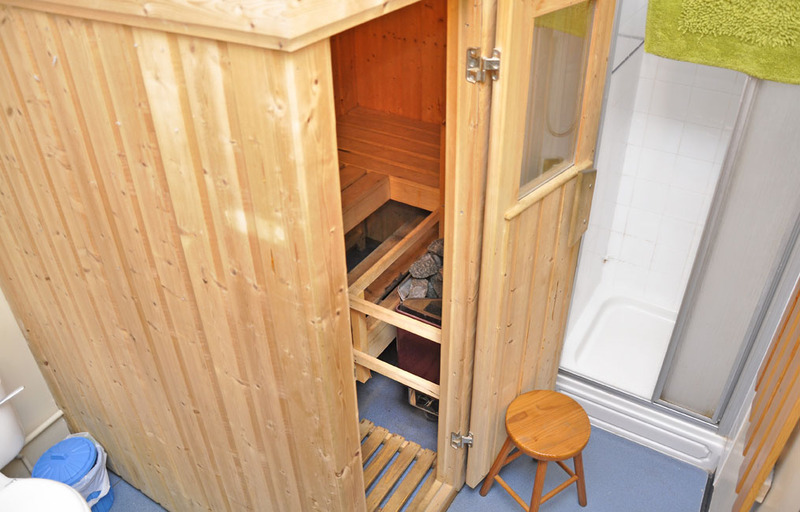 ), Prince’s Seat has three comfortable bedrooms and sleeps up to seven people. 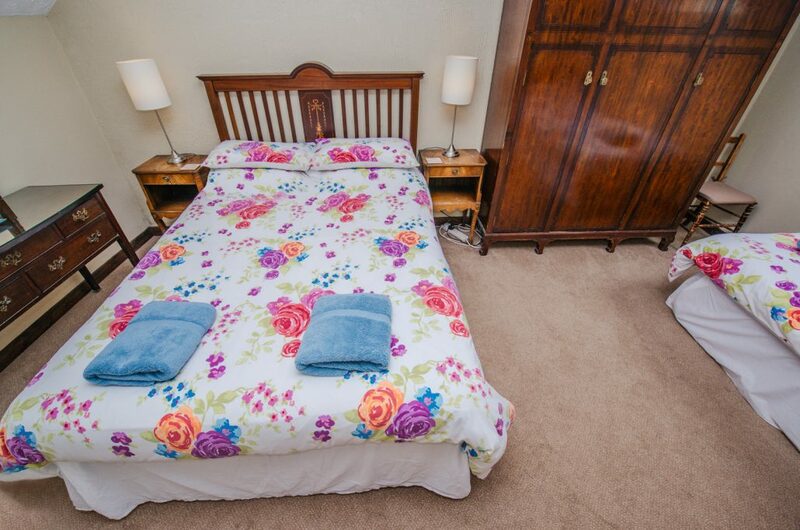 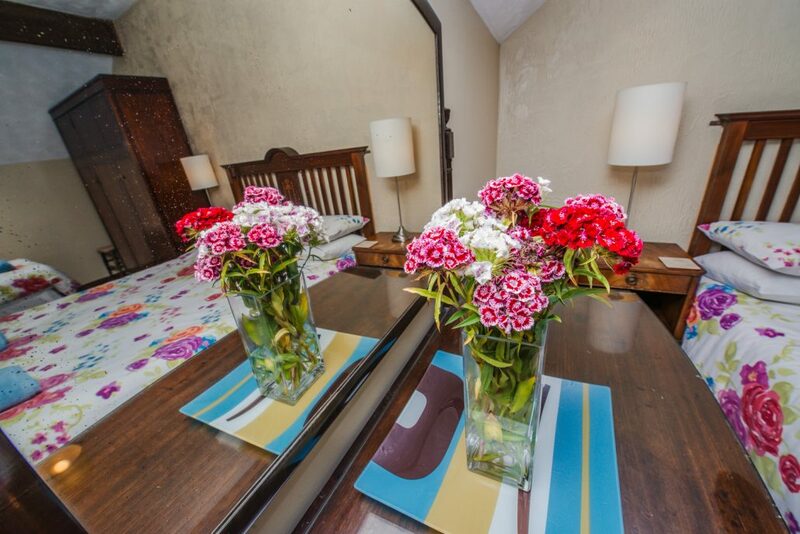 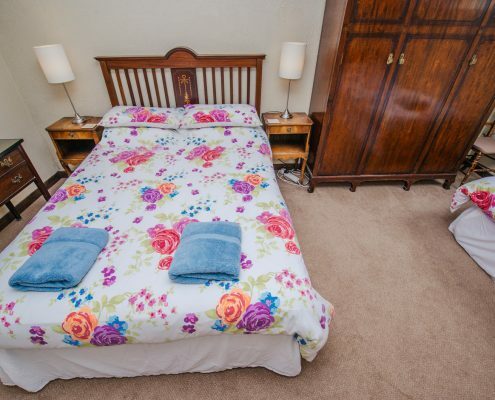 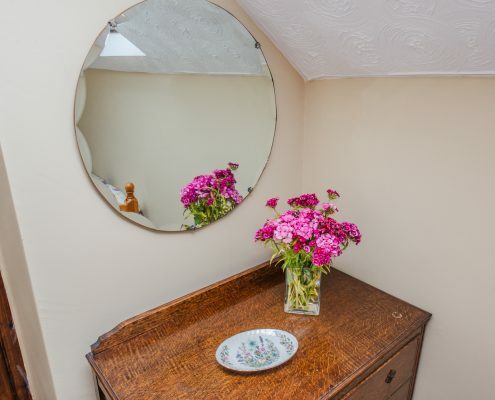 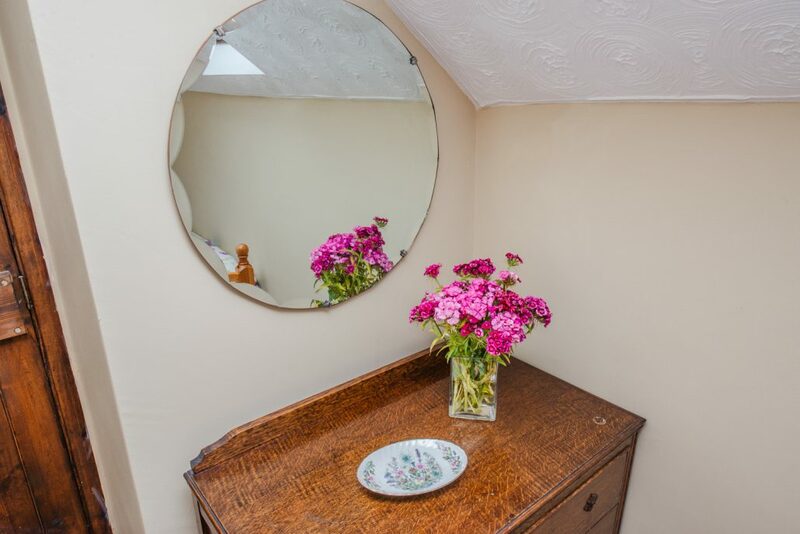 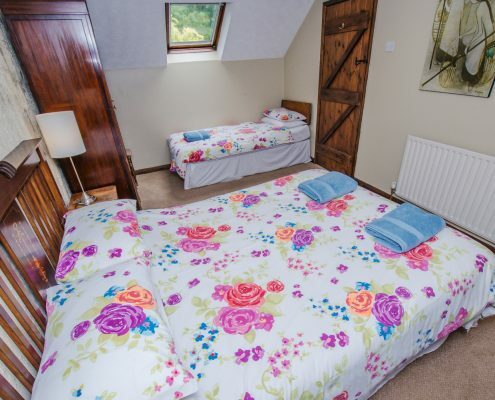 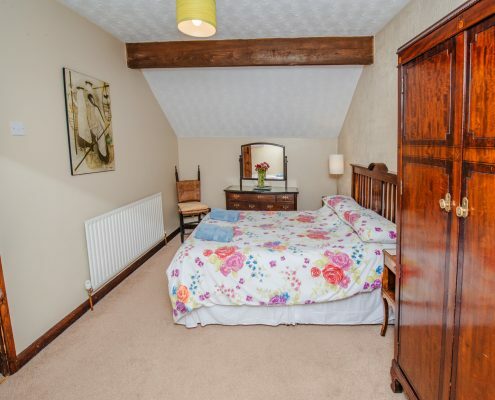 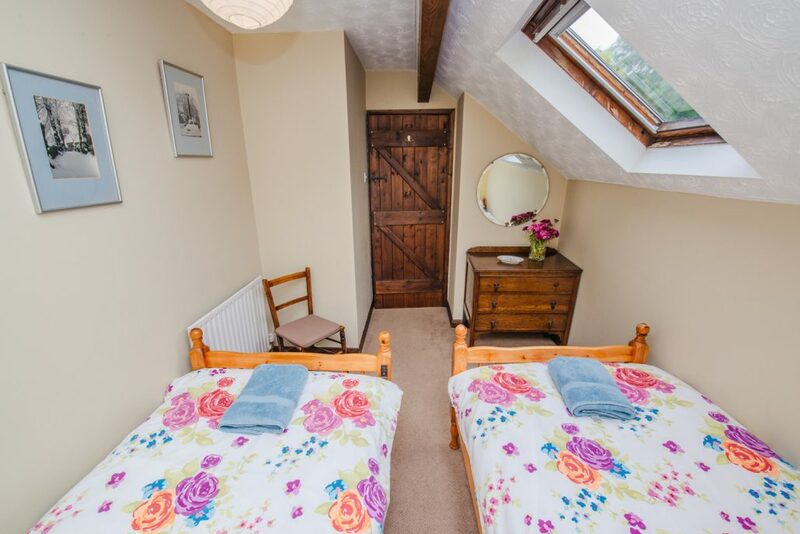 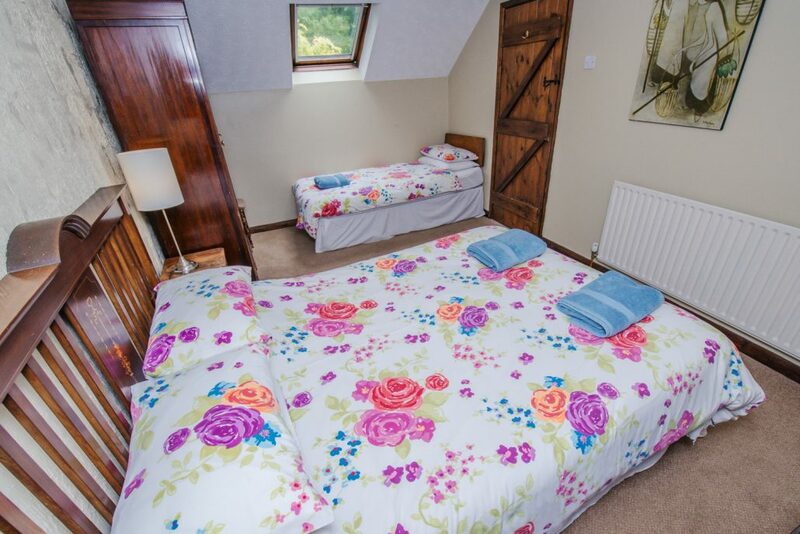 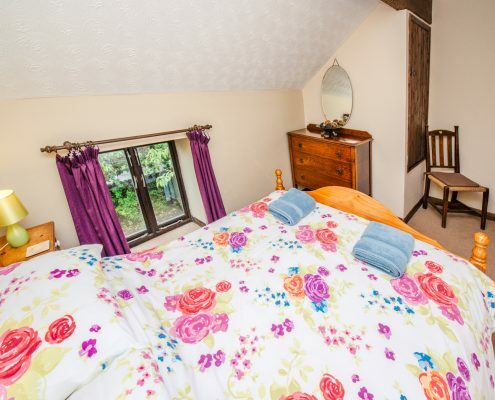 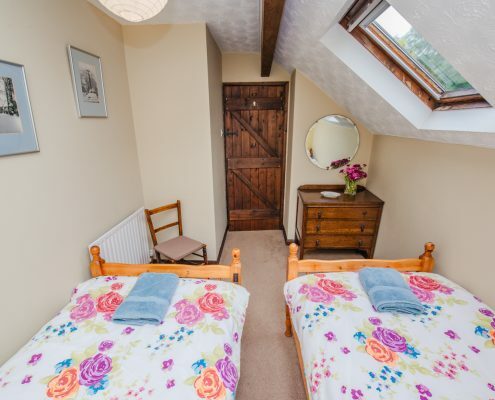 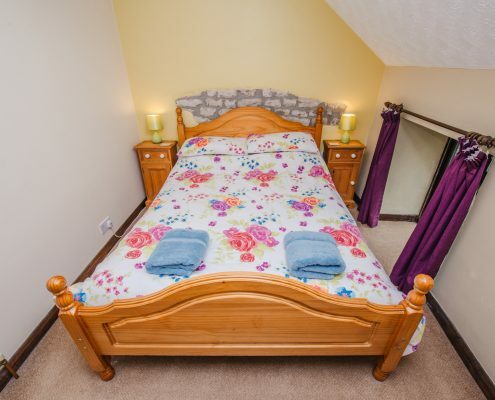 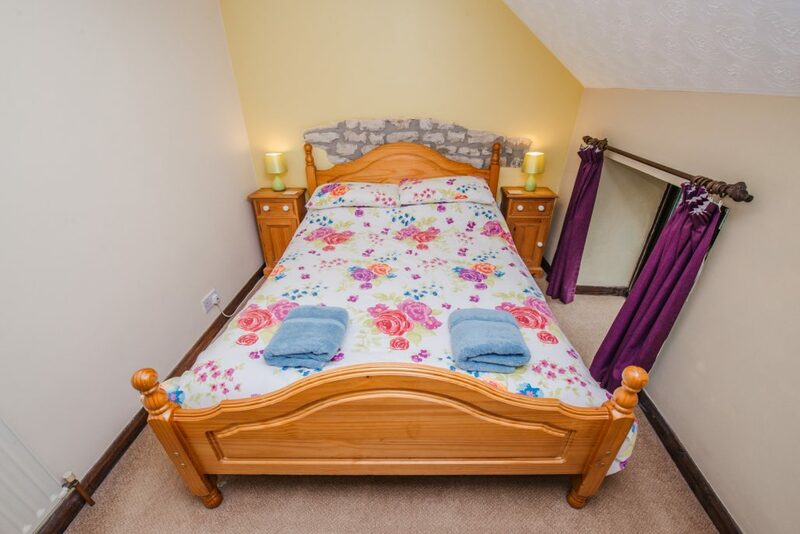 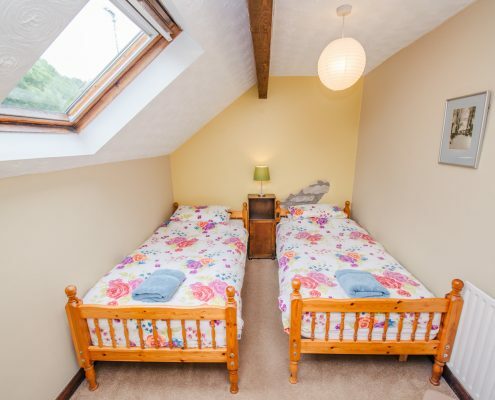 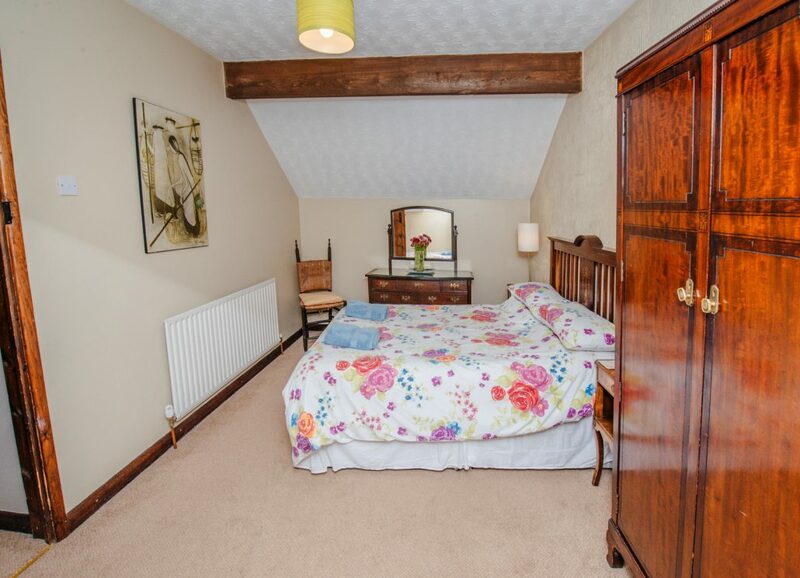 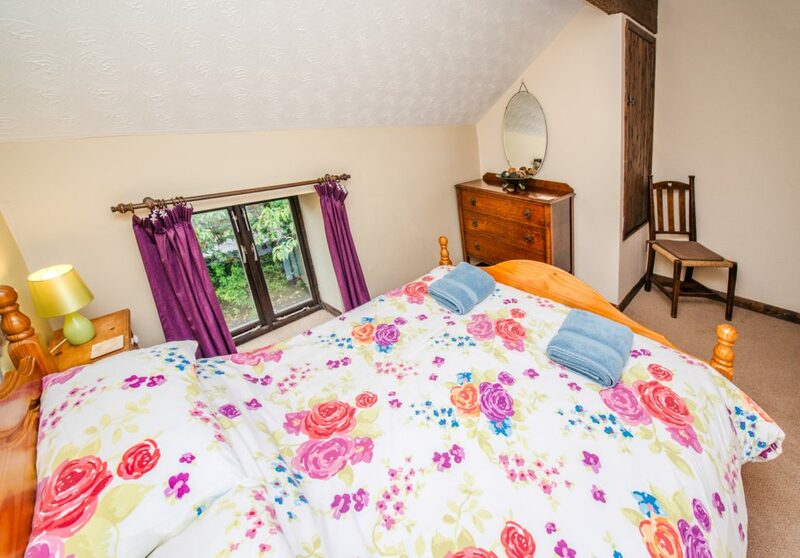 It comprises a family bedroom with a double and single bed, a double bedroom and a twin bedroom. 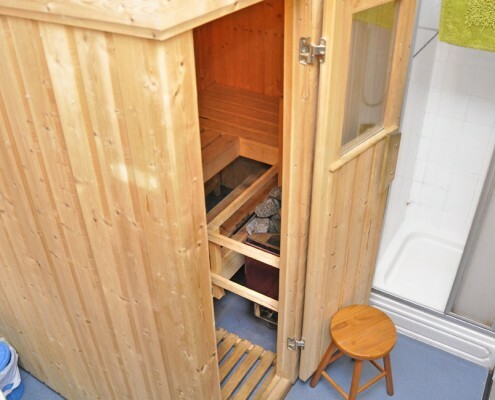 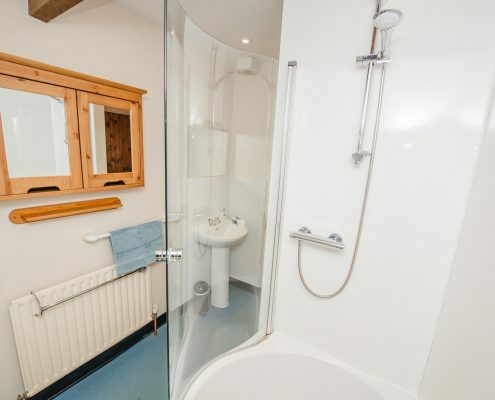 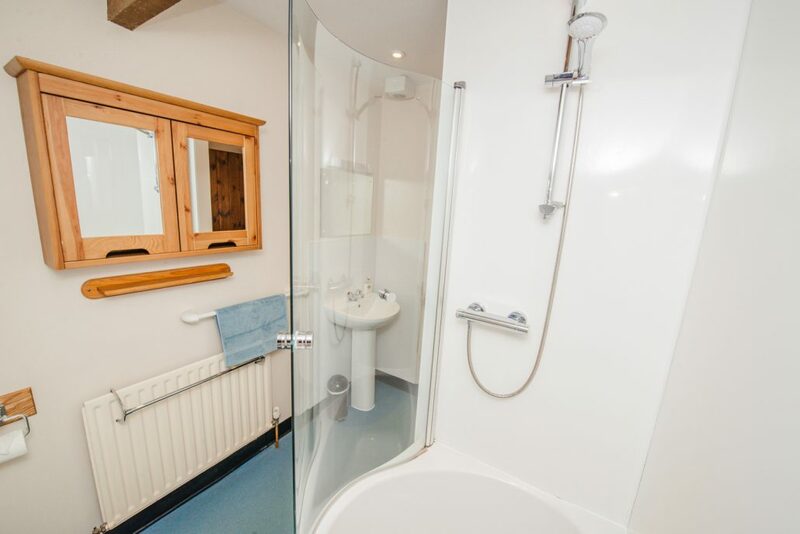 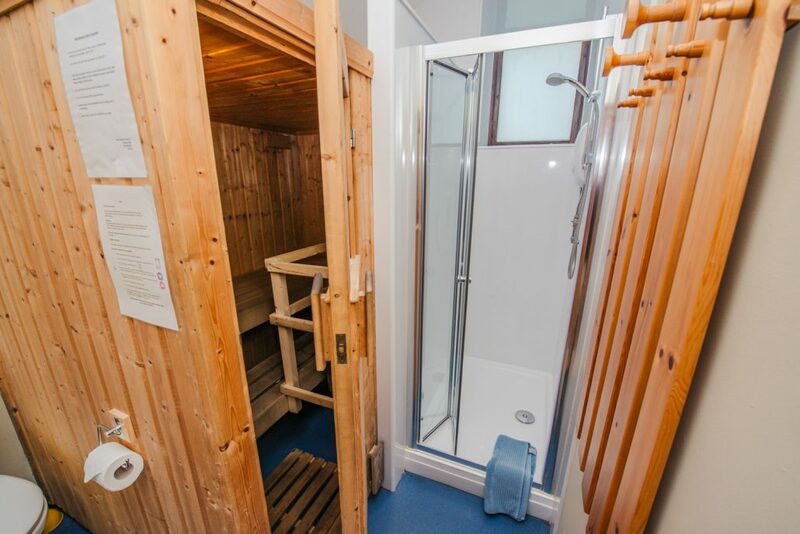 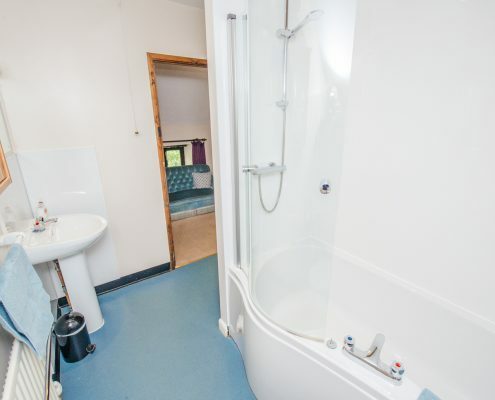 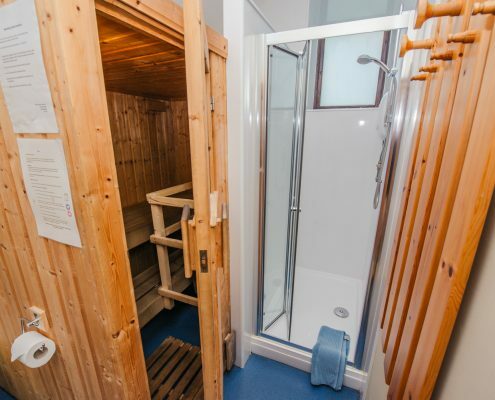 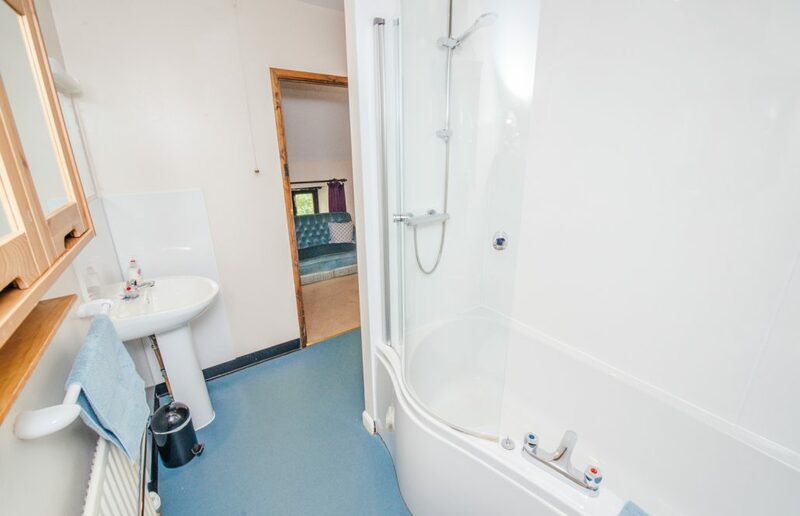 It has an upstairs family shower/bathroom and a downstairs shower room complete with sauna and toilet with a large shower enclosure. 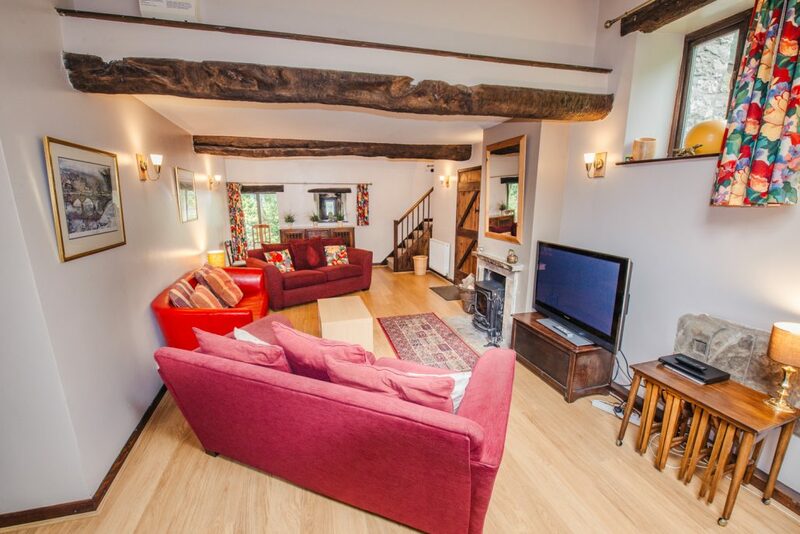 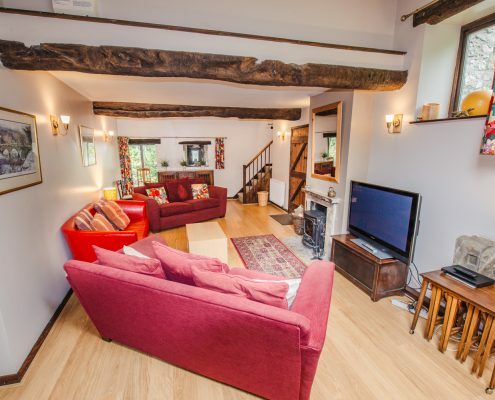 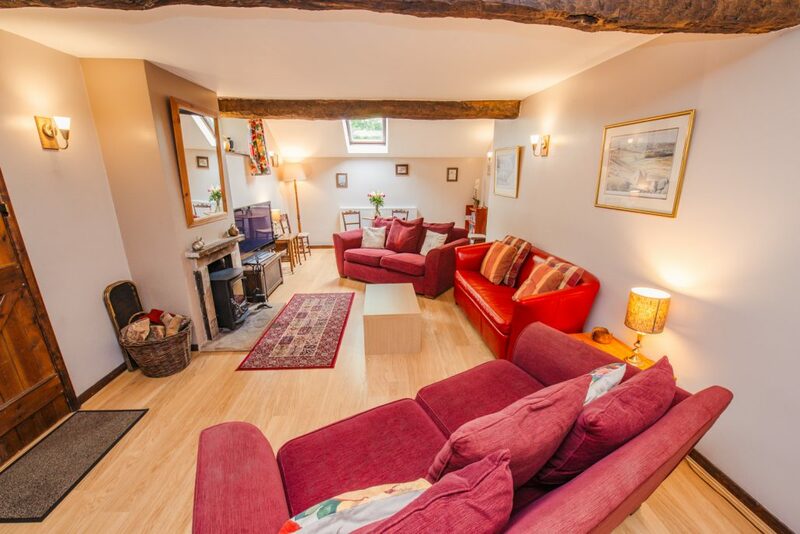 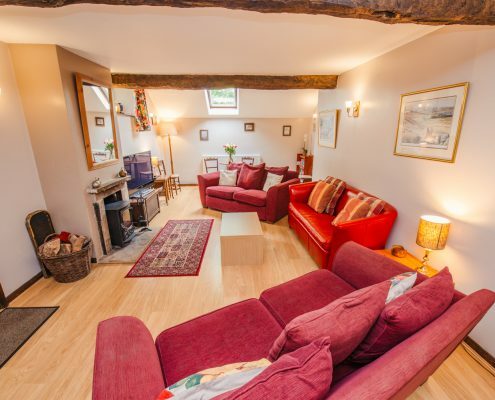 The spacious sitting room has comfortable seating for more than seven and a wood stove giving it a warm and homely feel. 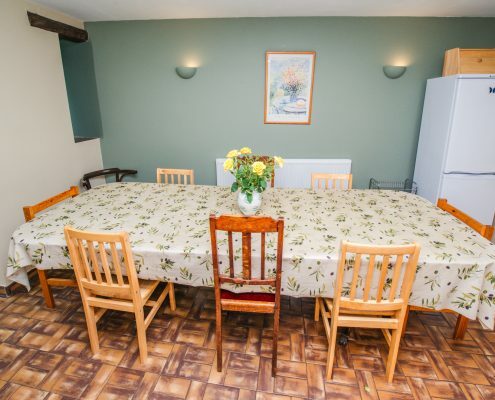 We can provide high chairs on request. 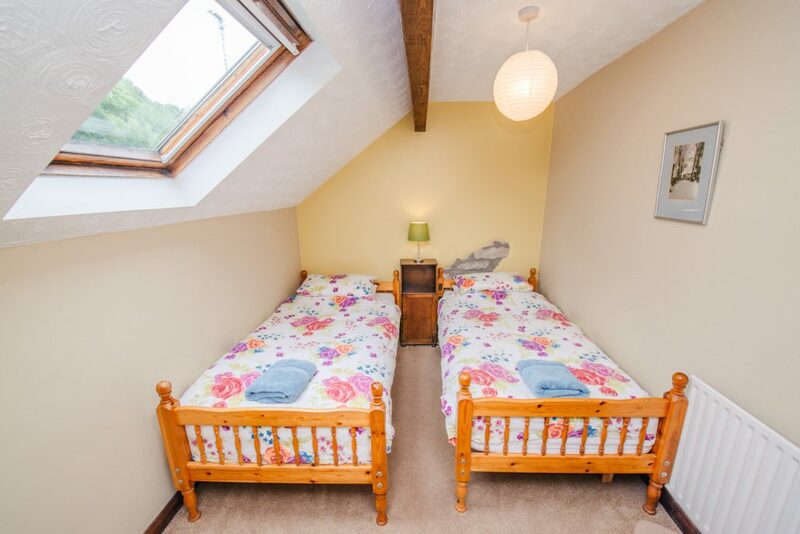 We can also lend travel cots (please bring your own cot bedding) or fold down beds; cots and beds need to be booked in advance and there is a small charge for the beds. 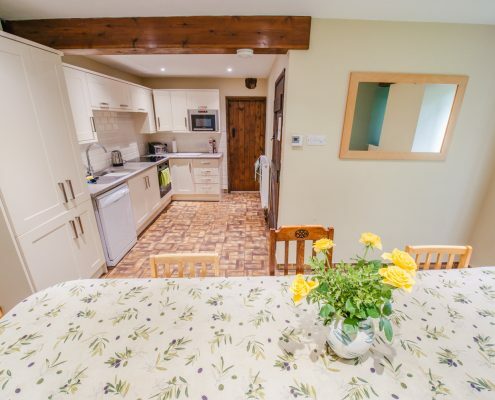 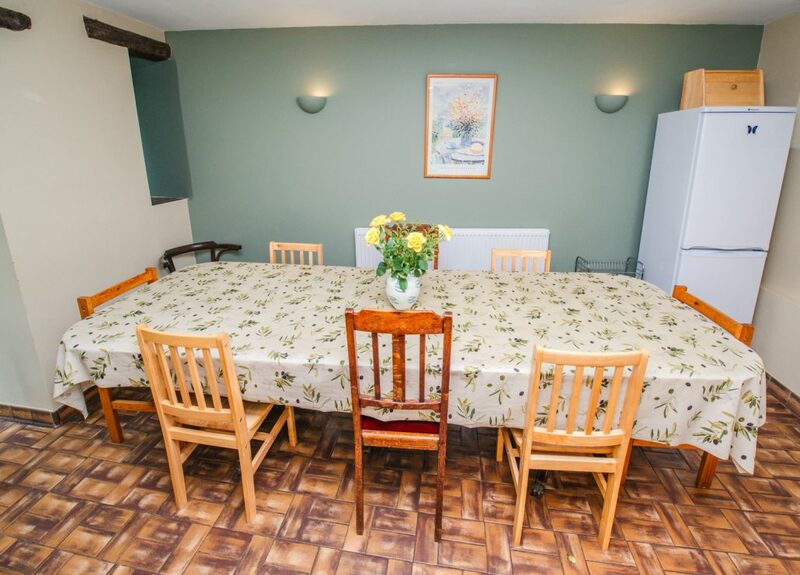 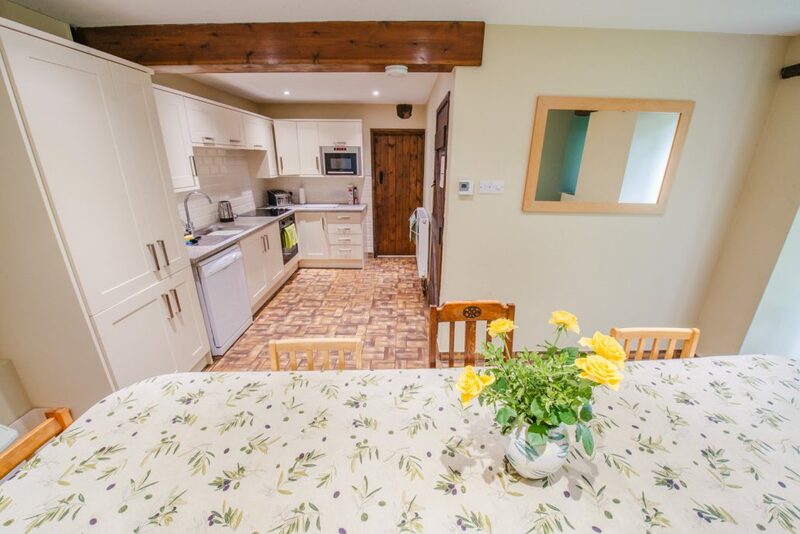 The kitchen was completely refurbished at the end of 2014 and has a dining area with a table which can seat up to 15. 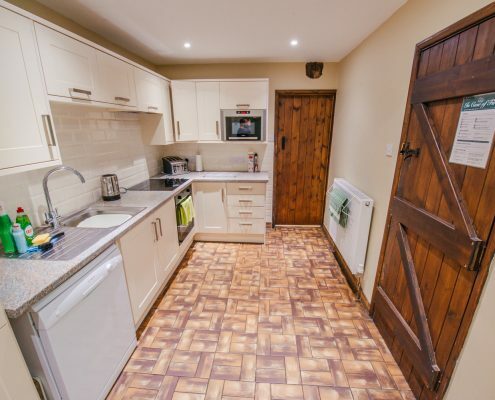 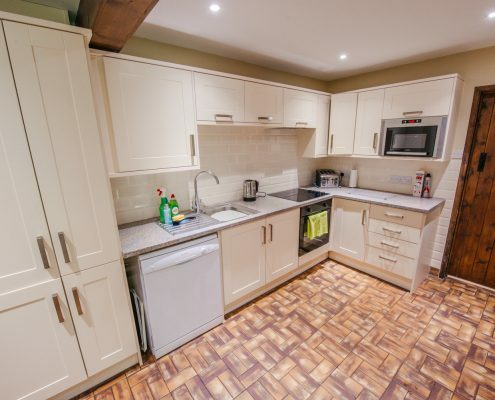 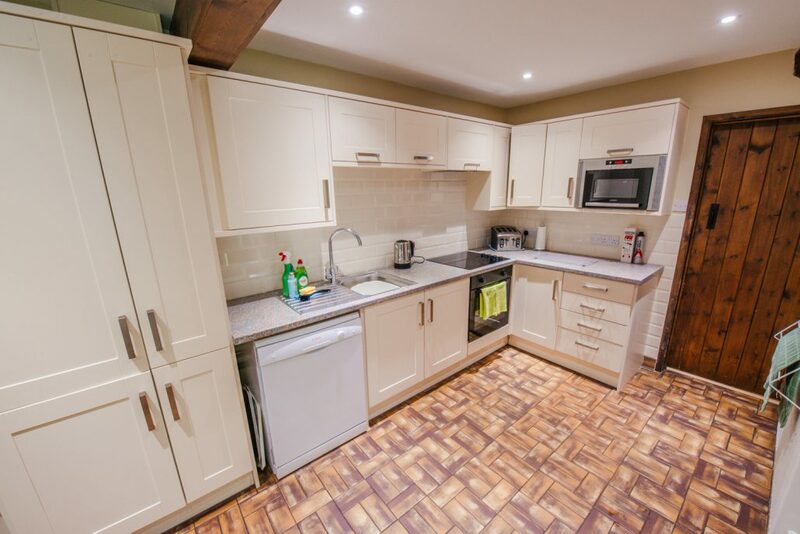 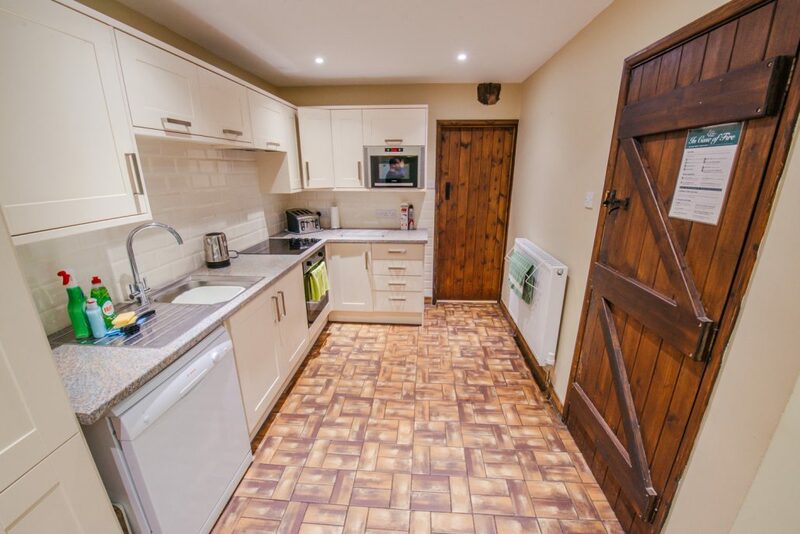 It is fully equipped with dishwasher, fridge freezer, microwave, electric hob & oven, kettle and toaster and has crockery, cutlery and glassware for up to 15 people. 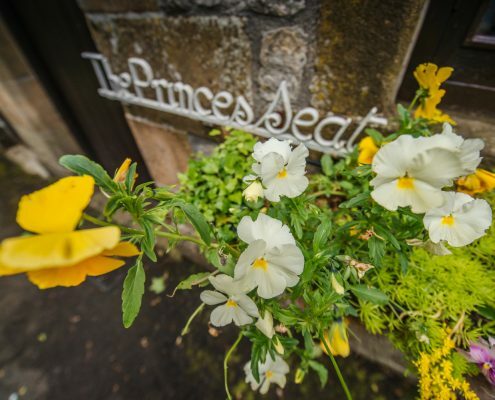 Prince’s Seat is often booked in conjunction with one or both of the other properties at Vicarage Farm as the dining area can accommodate a large group in comfort. 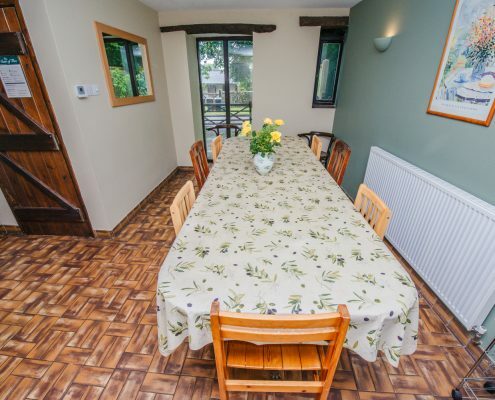 This makes it ideal for those extended families and groups who want to have time together and space apart as well. 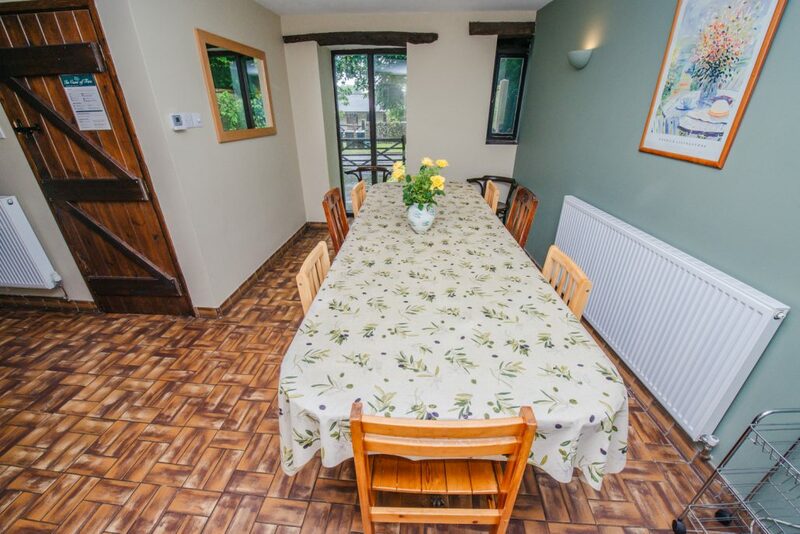 Grandparents in particular welcome the opportunity to have all of the family together at times of family celebration whilst being able to retreat to their own separate cottage.